This peer-to-peer roundtable is specifically for Safety Managers or Supervisors, but it is open to all involved in safety and is open to members of Sheboygan County Chamber. John Rogers, a certified Peer-to-Peer facilitator, will lead the discussion. My name is Bill Scheidt. I am the HS&E Manager for Rockline Industries. I attend the round tables for networking opportunities and best practice sharing. I leave feeling energized and relieved I am not the only one experiencing many of the same issues as many of my associates from other area businesses. 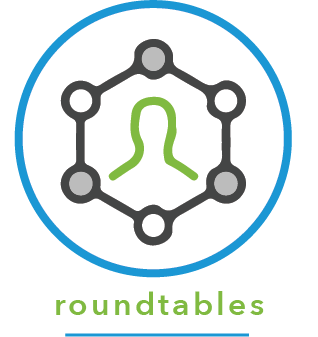 The information gained at these roundtables in many cases is immediately relevant and useful. I believe that by holding the roundtables at the various companies this provides a very valuable opportunity to get a view from others on opportunities. I myself attended many meetings when the Sheboygan Area Safety Council existed. I stopped attending these events because there just was not a lot of value in the format that was used. For the past few months I have been attending the Safety Round Tables and found them to be very refreshing. I believe that if the roundtables are further developed they can be real game changers. I also value the experiences of others and having the proper format to be able to share best practices and have valuable networking with professionals from different manufacturing and services businesses. I believe these events are too important to let them dissolve. We, as employers and leaders in the community have a responsibility to partner with the Chamber to ensure these events can continue. Locations vary. You will know weeks in advance where we will meet! In April, we will meet at LTC's Cleveland Campus in the Sheboygan County Training Room (L241). Enter thru door L8 from the east side parking area.